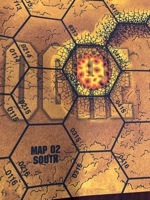 Ogre: Welcome to the 21st Century! In 2085, armored warfare is faster and deadlier than ever. 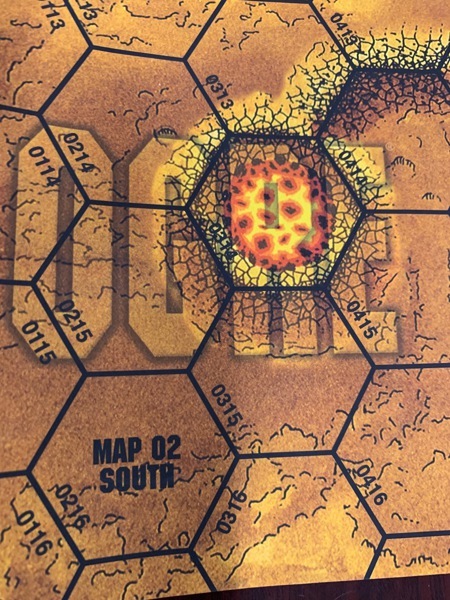 Hovercraft, tanks, and infantry slug it out with tactical nukes. But the most feared weapon of all needs no human guidance. It's a giant cybernetic tank bristling with guns and missiles. 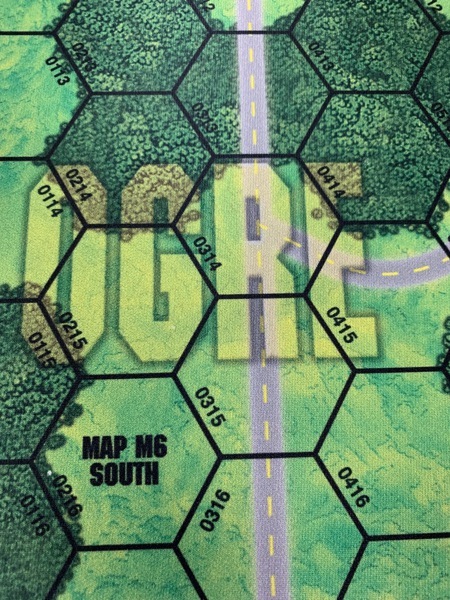 A large-format boardgame, Ogre Sixth Edition. 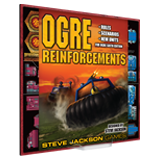 Rules for play with miniatures, the award-winning Ogre Miniatures. A variety of plastic units are available. 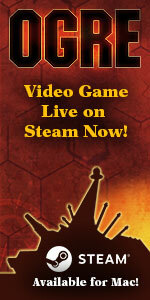 The Ogre video game on Steam. 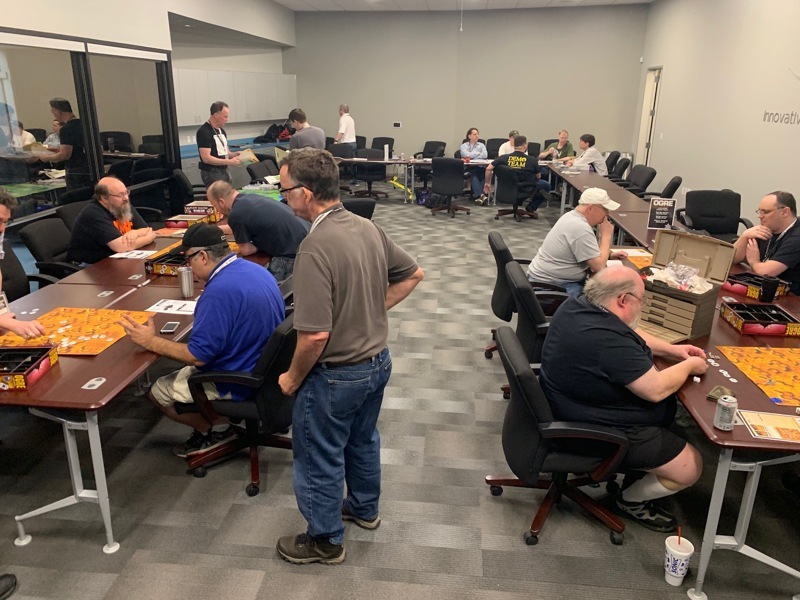 We are only half was through FnordCon and already it is a smashing success, at least from an Ogre point of view, and if what I saw yesterday is any indication, apparently eveyone else. The best part of the "Learn to Play" event was when a young player said, "That was amazing! We need to get this game!" Even a cybernetic Ogre would smile at that! 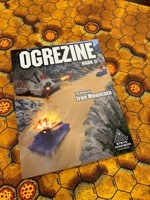 We had some proof copies of Ogrezine II printed and on display at FnordCon. A few lucky fans were able to purchase one. It is in the very last stage of proofing and should be released very soon. For those of you that helped me playtest a new playmat, I am eternally thankful. 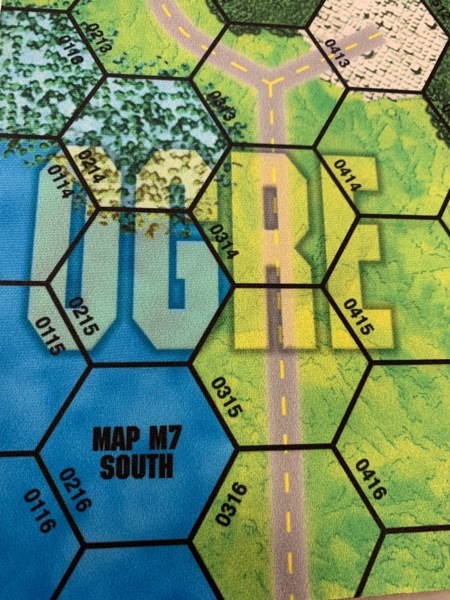 Keith, Dan, Damian, Andy, Mack, Andy, Mark, Brian, Darin, and Karl all put the new Ogre map design through its paces and provided invaluable feedback. 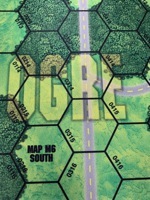 Through their assistance, I now have a direct path to creating a new Ogre map that should play well by all players and yet serve as a new map for jaded senior fans. Speaking of new maps, we released a pair of new playmats yesterday. Playmat M6 is a GEV playground, with a large body of water, a GEV Ramp and Beach, plus more. Playmat M7, on the other hand, is where Heavy Tanks go to prowl. Lots of Woods and Streams make it challenging for other units to get around. 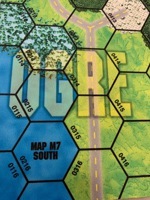 Both geomorph with existing playmats. You can find both on W23. More to come! On to another day at FnordCon including the fan-favorite: Steve Jackson Against the World! 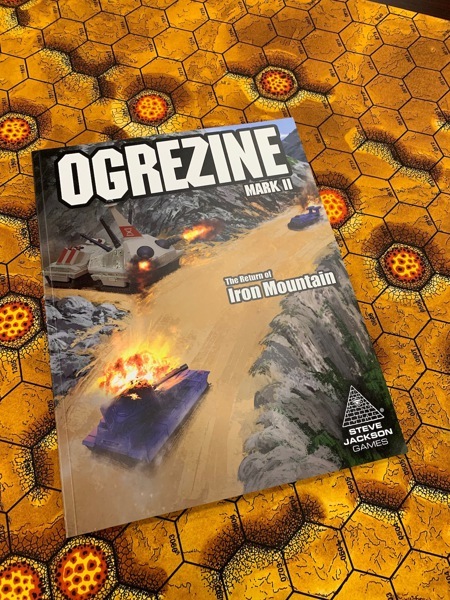 Plus at 11:00 AM today, Karl Gallagher will be leading a massive Ogre game titled "Salvage", which may be found in Ogre Scenario Book 2 on Warehouse 23. It should be a great time! 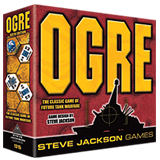 Subscribe to the Ogre News mailing list by going here and clicking on "Join Group" or "Subscribe to this group"